Sturdy board book editions introduce concepts and favorite characters to youngest booklovers. 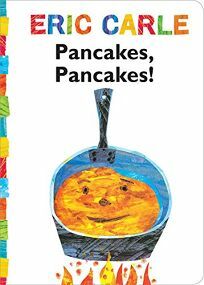 The board book edition of Pancakes, Pancakes! by Eric Carle tells youngsters how Jack goes about getting the ingredients for the titular meal, and all the steps along the way. .